1. It enables terrorists, criminals and anti-national forces to obtain multiple SIMs through eKYC, claims of eKYC, or submitting Aadhaar cards of other persons and use them in turn to open bank accounts for money laundering and financing anti-national activities. 2. It facilitates obtaining all documents like passport, and drivers licenses by using the new SIM and the Aadhaar. It, therefore, destroys our ability to distinguish a citizen from an illegal immigrant. It is therefore like the disease AIDS for the country. 3. The SIM treated as a proof of identity of the user allows infiltration of the country, even its defence services, with terrorists and anti-nationals causing a national security threat. 1. Because Aadhaar and one time passcode (OTP) are treated as “second factor authentication”, SIMs issued with your Aadhaar will be the single point for fraudsters to hack your identity, commit crime and rob you of your property, dignity, liberty, equality and access to justice. 2. Bank accounts opened using your Aadhaar and SIM, as well as property transactions, registration of contracts will no longer be in your control or with your knowledge and traceability. Because the use of “your” SIM in these instances will leave little deniability, if you are accused of these acts, it will destroy your right to justice. 3. The SIMs issued using your Aadhaar allow anyone in possession of such SIMs to impersonate you in both your private and public life. Not only will you have no way to know of such misuse, but you even have no ability to prove and control the misuse. Most banks have gone on an overdrive of threatening to freeze existing bank accounts unless customers to link Aadhaar. They are also refusing to open new bank accounts without Aadhaar, citing GSR 538(E), the amendment to the Prevention of Money-laundering (Maintenance of Records) Rules, 2005 under the Prevention of Money-laundering Act, 2002 (15 of 2003)(PMLA), on June 1st 2017. 1. When pressured to link Aadhaar to bank accounts, the Reserve Bank of India (RBI) had maintained that the use of the Aadhaar number was in conflict with the Prevention of Money Laundering Act (PMLA), the Basel Standards for maintaining customer information and its own extant guidelines. The RBI also highlighted that at best the Aadhaar is a third party identification and such third party identification is not used in banking practices anywhere in the world. It had also highlighted that the use of eKYC destroys customer acquisition information and customer records. As such, Aadhaar enables millions of shell bank accounts to be opened. 2. Bank accounts opened with Aadhaar can be created and operated remotely and therefore create a framework for money laundering at a scale that is impossible with pre-Aadhaar KYC. In five years post Aadhaar KYC, bank accounts in India have doubled from 44 crore to 88 crore and deposits have also doubled from Rs66 lakh crore to Rs122 lakh crore suggesting shell accounts with black money being parked in them. 3. Aadhaar-enabled Payment Systems (AEPS) transfer money from Aadhaar to Aadhaar number and not bank accounts. Such money transfers do not leave money trail and therefore facilitate money laundering in ways that was not possible with National Electronics Funds Transfer System (NEFT) or Real Time Gross Settlement (RTGS). 1. Your bank account becomes Aadhaar enabled allowing AEPS to transfer money into or from your account as soon as you link it to Aadhaar. This means all money transfers through the AEPS to or from your bank account will be un-traceable and therefore, also irreversible. 2. Money transfers to your account can now be hijacked by a “phishing” account that links itself to your Aadhaar number to receive money meant for you. Such money transfers may become impossible to track and reverse, as they do not leave any money trail. 3. Crime committed using duplicate accounts opened with your Aadhaar number will point to you, not the fraudster. This will also leave you defenseless and deprive you of recourse to justice. Neither the Aadhaar linkage to mobiles nor the linkage to bank accounts is legal. In fact, it even violates the orders of the Supreme Court and is counter to the Rule of Law. 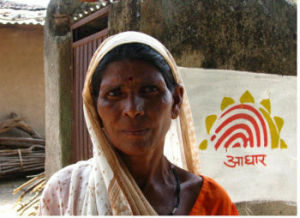 The coercion to link Aadhaar to mobile phones started because of the Telecom Regulatory Authority of India (TRAI) and the Department of Telecom (DoT) colluded to ignore the Court’s orders, the rule of law, and existing legislation to produce notifications that mislead, misquote and cause coercion. The coercion to link bank accounts started because the Department of Revenue, under the Ministry of Finance issued an illegal notification ignoring the law, Court orders and the rule of law. Here are two open letters. The first to the Chairman of TRAI and the second to the Secretary, Dept of Revenue, asking them to end the illegalities, restore respect of the Supreme Court and respect the Rule of Law. You too can endorse them and spread them by mailing/emailing them, or sharing them on social media till the respective government offices respect the orders of the Supreme Court. Together, let us restore the Rule of Law, the protection of our national security, financial integrity and respect for national interests. Mr. Sanjeev Banzal, Advisor(NSL) recommended, vide No 102-2/2015-NSL-II dated January 20th 2017, to the Secretary, Department of Telecommunications to use Aadhaar based eKYC to re-verify existing mobile subscribers. Mr. Prashant Verma, ADG (AS-II) of Ministry of Communications, Department of Telecommunications (Access Services Cell) has been instructing all unified licensees, unified access service licensees and cellular mobile service licensees vide File No. 800-26/2016-AS.IIdated 23.03.2017 to re-verify all existing mobile subscribers through Aadhaar based eKYC process. Mr. Verma uses the documentation by the order of two member bench of the Supreme Court in WP(C) 607/2016 dated 06.02.2017 of the position brought to its notice as a direction of the court. He also asks the licensees to destroy old customer acquisition forms after an Aadhaar “verification”. 2. “The information about an individual obtained by the Unique Identification Authority of India while issuing an Aadhaar card shall not be used for any other purpose, save as above, except as may be directed by a Court for the purpose of criminal investigation. 3. In its first order of September 23, 2013, the apex court had highlighted that “In the meanwhile, no person should suffer for not getting the Aadhaar card inspite of the fact that some authority had issued a circular making it mandatory”. 4. Furthermore, the use of Aadhaar for linking to other databases, retention, storage or publishing is not only prohibited but also a punishable offence under the The Aadhaar (Targeted Delivery of Financial and Other Subsidies, Benefits and Services) Act 2016. It is evident that all communications of the TRAI/DOT to require linkage of Aadhaar are invalid and bad in law. Moreover, they are also in contempt of the Supreme Court and are showing complete disrespect for the Rule of Law. In light of these facts, and to ensure that you do not continue to commit contempt of the Supreme Court of India, disregard the Rule of Law and get embroiled in needless controversy and criminality that results from the use and linkage of Aadhaar with the issue and use of SIM and telephones, we require that you kindly issue an immediate and urgent notification and advertise widely highlighting these facts and that mobile and telephone companies can not and do not require or use Aadhaar numbers or Aadhaar information for any process. Mandeep Kaur, Dy. Secretary of your department notified GSR 538(E), citing powers conferred by sub-section (1) read with clause (h), clause (i), clause (j) and clause (k) of sub-section (2) of section 73 of the Prevention of Money-laundering Act, 2002 (15 of 2003), on June 1st 2017. 6. In its first order of September 23, 2013 court had highlighted that “In the meanwhile, no person should suffer for not getting the Aadhaar card inspite of the fact that some authority had issued a circular making it mandatory”. 7. Under section 74 of the Prevention of Money-laundering Act, 2002 (15 of 2003) every rule made under this Act shall be laid, as soon as may be after it is made, before each House of Parliament, while it is in session, for a total period of thirty days which may be comprised in one session or in two or more successive sessions, and if, before the expiry of the session immediately following the session or the successive sessions aforesaid, both Houses agree in making any modification in the rule or both Houses agree that the rule should not be made, the rule shall thereafter have effect only in such modified form or be of no effect, as the case may be; so, however, that any such modification or annulment shall be without prejudice to the validity of anything previously done under that rule.The rules have not been laid before the Parliament as required by parliamentary procedure. 8. Furthermore while clause (h) of the Prevention of Money-laundering Act, 2002 (15 of 2003)was omitted by s. 29 with effect from 15.2.2013 and clause (i), clause (j) and clause (k) of sub-section (2) of section 73 does not allow for freezing of any asset or making it inoperable. 9. Furthermore, the use of Aadhaar for linking to other databases, retention, storage or publishing is not only prohibited but also a punishable offence under the The Aadhaar (Targeted Delivery of Financial and Other Subsidies, Benefits and Services) Act 2016. It is evident that the GSR 538(E) to require linkage of Aadhaar is invalid and bad in law. More over it is in contempt of the Supreme Court and a disrespect for the Rule of Law. The tactic to coerce people under an invalid legislation that is in contempt of court is undemocratic and deplorable at the very least. In light of these facts, and to ensure that you do not continue to commit contempt of the Supreme Court of India, disregard the Rule of Law and get embroiled in needless controversy, money-laundering, and criminality that results from the use and linkage of Aadhaar with the opening of bank accounts and undertaking financial transactions, we require that you kindly issue an immediate and urgent notification and advertise widely highlighting these facts and that banks can not and do not require or use Aadhaar numbers or Aadhaar information for any process including KYC and payment transactions. Thank you for the info. I copy pasted the letter and sent to all the emails you gave. But strangely mailer-daemon bounced back all the following addresses: Please advise what to do.